A monthly subscription box of T-shirts customized to your personality. Each month, you will receive a box with two custom graphic T-shirts themed to your personality & lifestyle. T-shirts are a reflection of you. A platform to send your message. Our graphic design team creates fun & stylish ideas to fit anyone's character. Joining is easy, simply select a few categories that fit you & your lifestyle. All of our clothing is made from TOP quality materials, USA Eco-friendly manufacturing sources & 100% no sweatshops. Ever. We love getting pictures of our customers wearing our tees! When you refer a friend and they sign up for the yearly subscription you will each receive a FREE month! Find your friend, grab their info, and have them purchase the yearly subscription. You'll fill out a form and we'll take care of it from there. 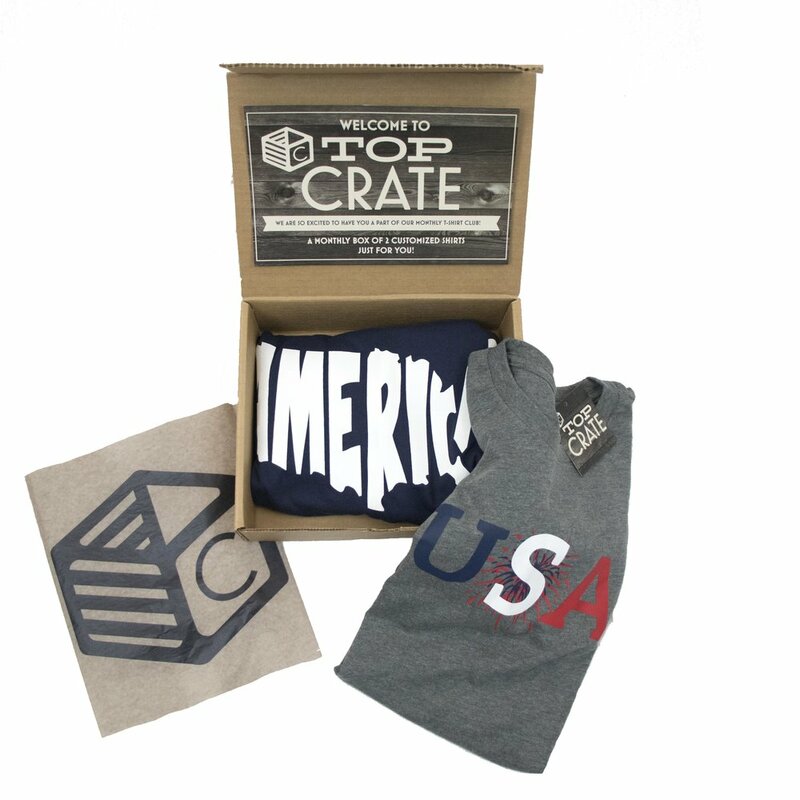 What is Top Crate All About?